Today for many people Internet earnings are not just a part-time job. It could bring a stable and high income. There are many ways to earn money. One of the most common is the affiliate marketing, used by very popular cashback services. What is cashback? This is the refund of part of the price paid for a purchased good in «real» money. Actually, this system is not new. It has been popular abroad for about 40 years, while starting up in Russia about 5 years ago. 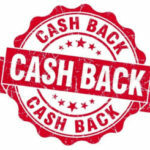 Despite the popularity of companies specialising in refund of a certain percentage from purchase price, not everyone knows the truth about cashback. Many people still don’t feel uncomfortable to use such portals. However, statistically, the number of such services is growing, their sales volume is increasing, which means that this system works and is trusted. Thus, according to the E- Commerce Association data, the volume of the electronic commerce market in Russia grew by 22% in the first half of 2017 and reached about 500 billion rubles. While the number of cashback service users increases monthly by almost 500,000. 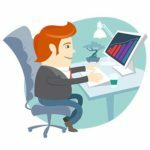 When speaking of sales, of the number of attracted customers and of audience, baack.com took the leading positions on Russian market. The company offers access to 250 online stores where you can buy virtually everything, from cosmetics to large household appliances. 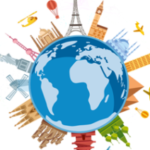 In addition, among the partners of baack.com you can find websites providing various services, such as accommodation hire or airfare booking and get a part of the money back. Who benefits from affiliate programs? All cashback services are interested in cooperation with advert publishers and developers, which are able to establish a continuous flow of customers, rather than bringing a couple of new buyers. How do webmasters and advert publishers make money on cashback and returning customers? They simply receive income from the cashback of the users attracted through their resources. Also, as soon as a new buyer signs up, a certain fixed amount is paid. 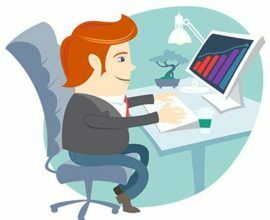 Thus, the more webmasters and advert publishers cooperate with the service, the more profitable it becomes for both parties. However, baack.com affiliate program is even more interesting for ordinary users. This became possible with the very attractive conditions offered by the service. When a user becomes a partner of the service and brings news customers, he or she receives a bonus. Typically, the bonus totals to 15-30% of the amount of cashback received by those they introduced. But baack.com offers a much higher rate compared to other services – 50%! Which means, the more people you bring to the portal, the more profit you will get. This system is especially appreciated by those who want to make money on cashback. If you bring new costumers, you can not only save money, but also get additional cash. Importantly, the size of the cashback of the introduced customers will not be affected and they will receive it in full. To pay partners their extra bonus, baack.com does not use the funds of newly attracted customers, this extra cost is compensated from the company’s funds. Over the past year, the number of users who made baack.com their main source of income has increased several times!